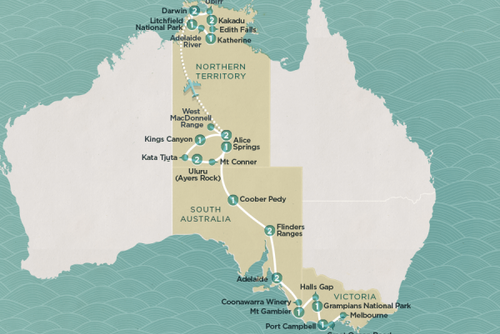 Find the best day tours, sightseeing activities, excursions & things to do in South Australia. 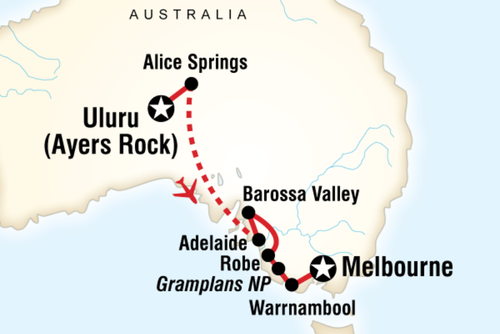 You can also search tours which either depart from, visit or finish in South Australia. Popular places to visit include Adelaide and Kangaroo Island. One of the best places to visit in South Australia is the city of Adelaide. It is a quiet and trendy city situated in the middle of some of the best vineyards in the world. This is one of the most underrated areas to travel in this region of the country. Adelaide and the nearby vineyards is by road. 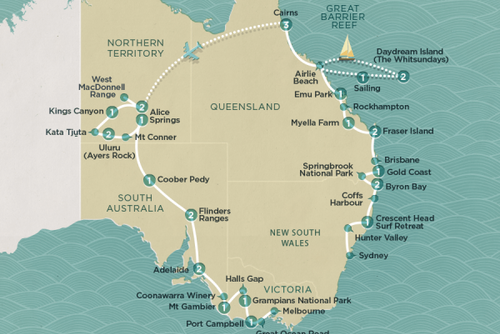 Travellers with a car or campervan can explore the region and enjoy the pristine beaches and avoid the pushy crowds at some of the more well-known beaches in Australia. 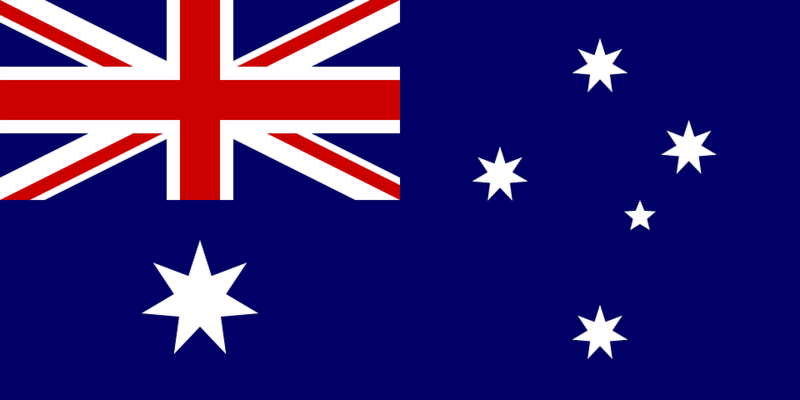 Adelaide is a city in the state of South Australia that enjoys a special reputation. 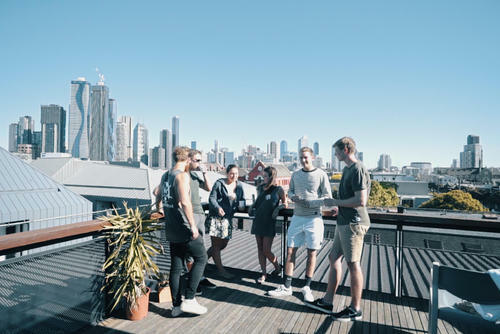 It is the capital of the state and is considered a stylish, cosmopolitan city with a flourishing cultural scene, arts events, excellent restaurants, nightclubs and Australia’s best café strips. It also offers great shopping and beautiful beaches. Adelaide is a small city compared to other capital cities in Australia. However, it has many to offer. For example, Adelaide Fringe Festival (the largest annual arts festival in the Southern Hemisphere), the Adelaide Festival of Arts (features international live music, dance and arts) and Adelaide Zoo (which has the only collection of giant pandas in Australia). For a magnificent sight in the evening, The Rundle Lantern shines every night from sunset to midnight. Adelaide is one of the most elegant cities in Australia. It has beautiful Victorian parklands and tree-lined boulevards, and is the only city in the country that was not settled by convicts. 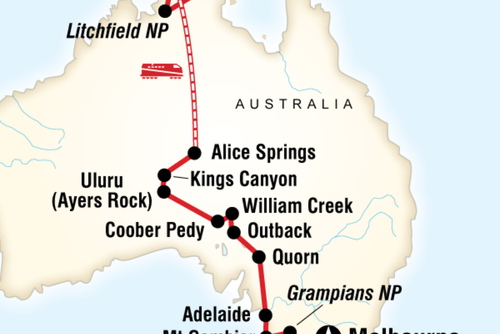 In spite of these attractions, the city is less popular than Sydney and Melbourne. People who know the delights Adelaide has to offer are perfectly happy that other Australians are less interested. For one thing, Adelaide is a welcoming city where the locals maintain an excellent quality of life. Visitors don’t encounter rudeness very often as is possible in the other cities. This friendliness is seen in malls, on the beaches, or at the bus stop. 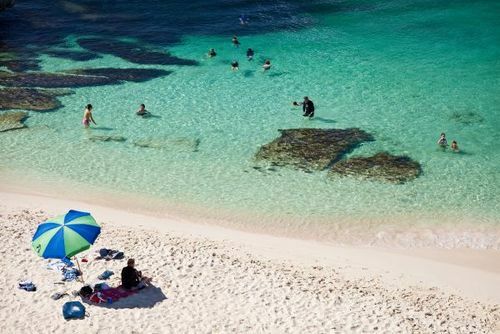 Venture into this beautiful sun-kissed part of the world, stretch your legs out in sunny beaches and have a great time on an exciting tour to the Kangaroo Island off the coast of South Australia. Kangaroo Island is the perfect place for you to relax yourself, be surrounded by a spectacular natural environment, go kayaking along the crystalline waters of the Harriet River and spot the adorable inhabitants of the island – koalas, goannas, echidnas and kangaroos. Tours usually start in Adelaide and head off to experience the wild natural set of Kangaroo Island. Get close to the local wildlife, visit rock sculptures and take stunning shots. 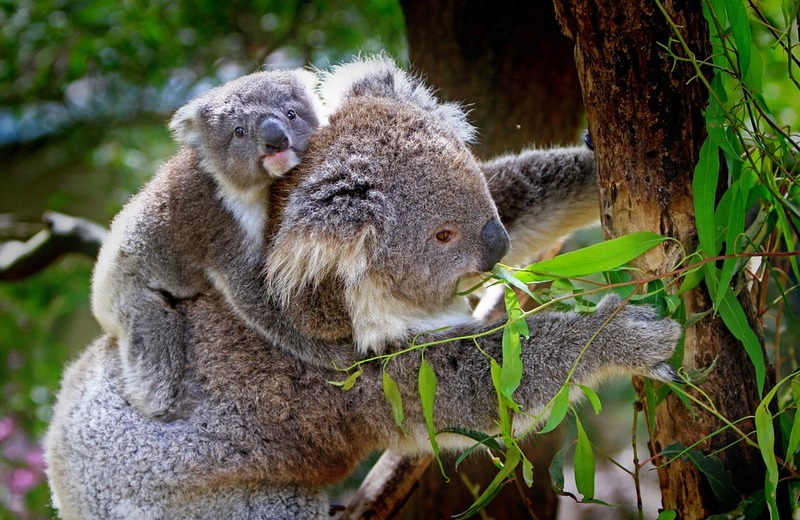 You could go hiking in the Flinders Chase National Park and in the afternoon take a chance to see the koalas and refresh yourself in the temperate water at hot beaches. After a full day of activities you can go camping and rest under the stars in the great outdoors. You will get to enjoy exciting activities including kayaking along the Harriet River. 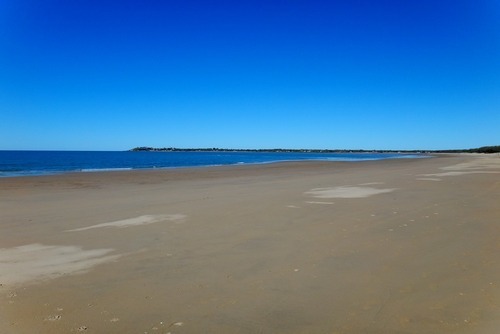 Afterwards, stroll along the Little Sahara before taking part in a guided walk through the beach at Seal Bay. Have a great time spotting the sea lions enjoying the warmth. You will have free time in the afternoon to explore awe-inspiring beaches by enjoy activities like snorkelling, swimming and hiking. Wave goodbye to the Kangaroo Island at the end of the day and head back to Adelaide on the return ferry with fantastic memories. 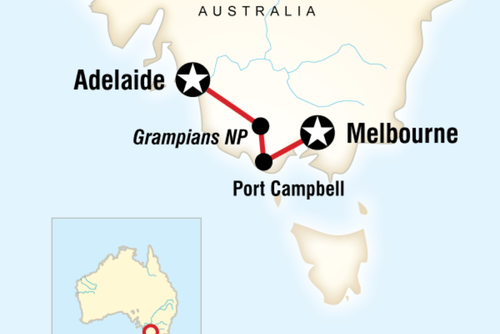 One of the most appealing things about this region of Australia is the vineyards of McLaren Vale, Claire Valley and Barossa Valley and each area is accessible on a day trip from the city. The Barossa Valley is one of the top wine-producing places in the country and visitors are welcome for wine tasting, food and beer. The main menu item is the old-fashioned sausages in many forms, brought by the original German settlers. 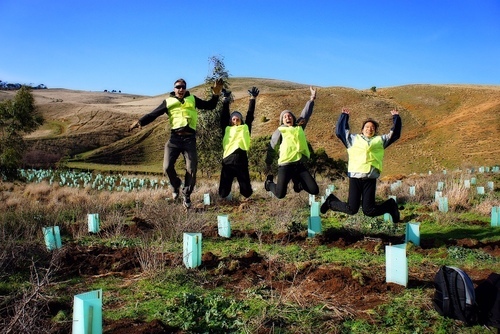 The Clare Valley has more than vineyards to offer visitors. It is also a top wine producing area, but tourists travel there for the spectacular views and wildlife. It is one of the oldest wine producing regions in Australia and is surrounded by verdant rolling hills and charming stone buildings. 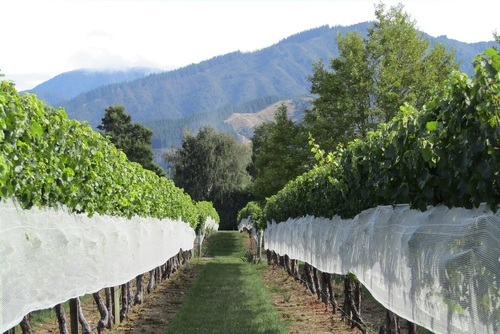 The Riesling Trail offers walkers a stroll through the forested landscape and to several boutique wineries. Lake Albert - On the road to Melbourne is Lake Albert, a fresh water lake where visitors enjoy camping and fishing as well as many water sports, bushwalking and bird watching. 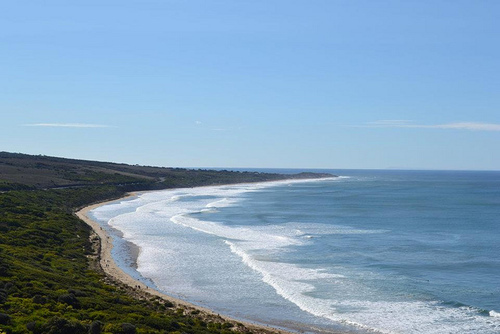 The Coorong National Park – Located about 156 kilometres southeast of Adelaide and is a lagoon ecosystem. It is a sanctuary for many animals including birds and fish and gives them a habitat when drought strikes the country. It has a unique combination of salt and fresh water that produces the ecosystem. The park is a popular commercial and recreational fishing area.